pressure recorders and other types of pressure actuated instruments. New swivel joint calibrating post can be used with any type of pressure calibrating bench or deadweight tester. 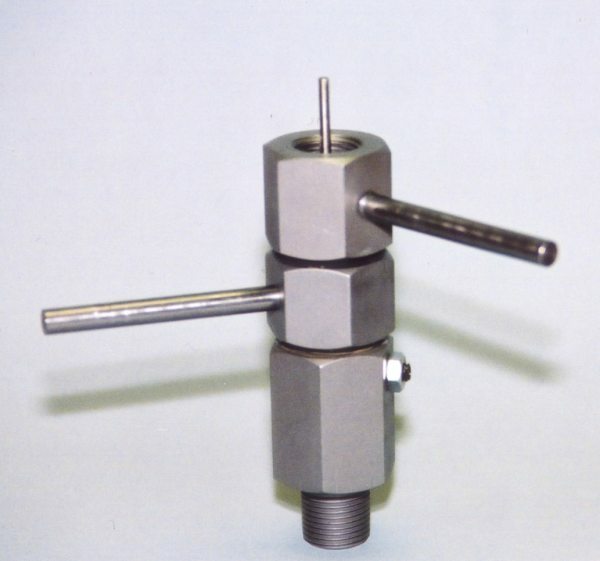 Simply remove the present calibrating post from your bench or dead weight tester and replace with our swivel joint. Instruments can be calibrated from the back without having to release the pressure.